Why did Lionel Messi need treatment to improve his height? Lionel Messi needed treatment at a young age to improve his height because he suffered from an uncommon case of growth hormone deficiency. Although an exceptional footballer since his childhood, he was much shorter and a lot more fragile than the other kids in his age group due to this disorder. Messi was diagnosed with GHD at the age of 11, and although Argentine clubs such as River Plate and Old Boys coveted the youngster, they weren’t ready to shell out the money required for his treatment. Growth hormone deficiency is a disorder caused due to the malfunction of the pituitary gland located at the base of the head. This gland is responsible for the production of growth hormones, which allow children to grow and keep a check on bone density, muscle elasticity and the distribution of body fat in adults. The exact cause of this disorder is largely unknown, but infections, brain tumour, injuries or radiation therapy have been identified as the leading causes. The symptoms to watch out for in children are low growth, increase in fat around the waist, and the onset of puberty at a later age. In adults, reduced muscle mass and energy; and behavioural changes such as depression and anxiety are some of the symptoms. Treatment can be given to a patient in the form of human growth hormone therapy, which at that time, cost upward of $900 per month and had to be administered for at least two years. The Messi family wasn’t financially secure and hence couldn’t afford his treatment. Despite his condition, though, Messi was still a phenomenal talent. Shortly after his story reached Barcelona, he was signed by the club along with his father, Jorge Messi, who was promised a role in the club’s youth development and scouting system which would earn him €42,000 per year. Messi, on the other hand, joined the revered La Masia academy and was to be given expert medical treatment to help out with his deficiency. 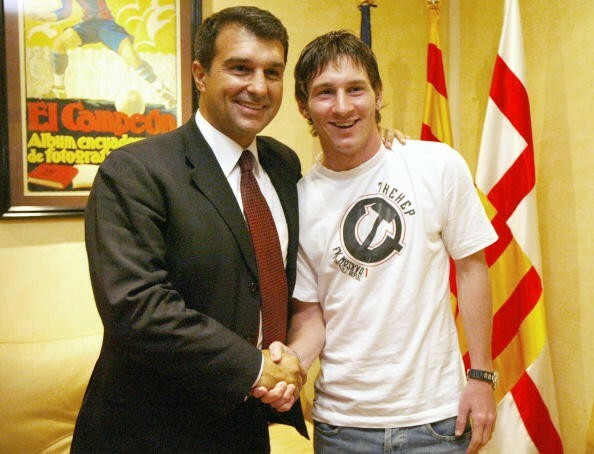 It was not all plain sailing for the young Argentine though as many of the board members at the time (in the year 2000) opposed his signing primarily due to his small, fragile frame and the medical expense, which was more than what any youth player at their academy earned. They went on to state that it would take at least 10 years before the club could reap the benefits of his treatment. However, the support of a few people in the FC Barcelona management including Joan Lacueva, Charly Rexach and the club’s associate Josep Maria Minguella ensured that Messi would go on to sign the famous ‘paper napkin contract’ and don the blue and red jersey of the Blaugrana despite Real Madrid’s attempts at pulling off a late coup. Messi joined the U-14 squad in March 2001 and rapidly made his way from the C team to the B team. He continued his upward ascent to the first team and finally made his debut in a friendly against Jose Mourinho’s FC Porto in November 2003, although he had to wait till October 2014 to make his official La Liga debut for the club. Messi’s treatment has come in for immense criticism from rivals, who have accused him of using the drugs involved in the treatment to enhance his game. That, however, is not the case as the diminutive Argentine’s condition was quite serious and if left untreated, he would’ve grown into a fragile man with low bone density which wouldn’t have allowed him to play football. What’s more, without the treatment, Messi was expected to reach a height of about 150 cm. Currently, he is 170 cm tall but is still one of the shortest players in the sport. He is also unarguably one of the best players in the world courtesy his clinical finishing, passing and dribbling, and that has nothing to do with the treatment he was given for four years as a youngster. The 29-year-old has come a long way since then. 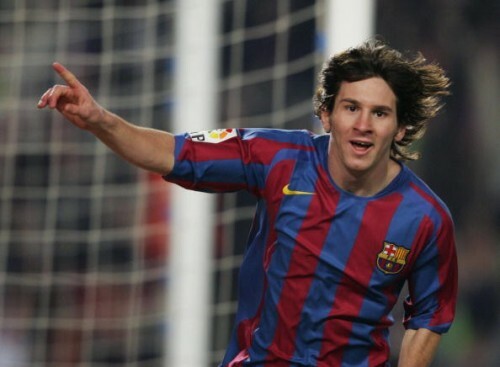 He has scored 337 goals for Barcelona, amassing five Ballon d’Or awards on the way. He has also been capped by the Argentine national team 116 times and is considered their greatest ever player.